Vomiting and Nausea Relieved with Homeopathy! Homeopathic remedies will help a person with vomiting and nausea symptoms from many types of causes. #1 remedy for diarrhea and/or vomiting from food poisoning. Chilly, worse from cold. fearful person. Diarrhea and/or vomiting that is worse from the slightest motion. This person is irritable, wants to be left alone and feels warm. Nausea and vomiting. Person feels chilly and very sensitive to anything cold, though they prefer to drink ice drinks. Despite being chilly, the head is hot, and it tends to sweat profusely. The perspiration and stools are sour smelling. Vomit is sour smelling. This vomit is often in curds shortly after drinking or eating. Indigestion after eating fat or drinking milk. Extremely irritable and cross. Vomiting with retching and may also be covered in a cold sweat. Green, foul-smelling stools or diarrhea with undigested food. If they vomit, tend to experience much retching. Averse to warm drinks. Digestive problems either before, during, or after a temper tantrum. Children will Impersonly demand something then refuse it once offered. Nothing satisfies them. Children will want to be being rocked or carried or warm applications on their abdomen. Distended abdomen, passing gas does not ameliorate symptoms. Children will double up, kick, and scream. Abdomen is very sensitive to touch. Vomiting with retching and may also be covered in a cold sweat. Green, foul-smelling stools or diarrhea with undigested food. If they vomit, tend to experience much retching. Averse to warm drinks. A good remedy for diarrhea anytime there is abdominal pain that is better from pressure and bending double. Digestive problems after experiencing grief or anxiety. Painless urgent diarrhea if emotionally upset. Sensation of a lump or heaviness in the stomach. Empty feeling in the stomach that is relieved by eating. Nausea is sometimes ameliorated by eating. Paradoxical appetite; averse to ordinary diet, warm food, and meat, crave exotic foods or sour foods, and normally difficult to digest foods. Worse by fruits, sweets, and cold drinks. Perspiration during eating. They also sometimes crave bread, especially rye bread. Relief from taking a deep breath, tend to sigh frequently, taking deep breaths each time. Given to bulimic or anorexic adolescent girls. Good for persistent nausea and vomiting, with or without diarrhea. 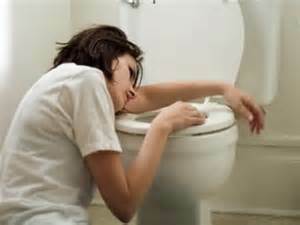 Person is not relieved by vomiting, they continue to vomit. Projectile vomiting. A great remedy for nausea and vomiting, especially after alcoholic drinks or overindulging in food. Nux is the "the hangover remedy." For too much junk food, sugar or sweets in children causing vomiting. It's known as "the hangover remedy." Another common diarrhea remedy. The stool is profuse and offensive smelling. Splattering in the toilet. Thin, watery, putrid. The stools may be yellowish or green and are often completely liquid. Bowel movements can come very frequently.